HP is expanding its Device-as-a-Service (DaaS) offering to cover Apple's iOS and macOS hardware. As part of HP's expanded DaaS offering, known more generally under the industry term of managed mobility services (MMS), customers will be able to pair iPhones, iPads, Macs and other Apple devices with HP's support, managed services and analytics. Apple for years pushed, without much success, to get its hardware and software into the office. But the organic adoption of its iOS devices – especially the iPhone – finally forced enterprises to take it seriously. In the past year, 82% of the work done on mobile devices in the enterprise was performed using iOS; the remaining 18% of mobile activities were done on Android devices, according to new research from file synchronization software vendor Egnyte. While Windows continues to dominate the desktop with 75% of enterprise transactions, Apple's desktop macOS still takes a healthy 25%, according to Egnyte. To date, most of the growth in MMS has been around PC as a Service. "HP helped pioneer it, and other PC vendors such as Dell and Lenovo as well as other service providers have been pushing hard, too," according to Tom Mainelli, IDC's vice president of Devices and AR/VR. "Now we see the market evolving to include additional devices such as smartphones and tablets. HP’s move to offer Apple hardware is a very interesting one. It’s smart because they know that iOS devices are often the de facto standard within companies. So I’d say they’re ahead of the curve in offering iOS, and it gives them a strong position in the market." Through its DaaS offering, HP determines the contractual relationship enterprises want to have, whether it's with a value-added reseller, a global systems integrator or a direct relationship with HP, "and then we provide it back to you within a utility model or a per-user, per-device pricing model," said Jonathan Nikols, global head of HP's Device-as-a-Service. For example, the cost of a contract would include an SLA on how fast the turnaround time on a device repair and replacement should be – whether it's next day or in four days. When an end user's device breaks or needs replacing, they file a help-desk ticket just as they would with any IT shop; the ticket is automatically routed to the HP DaaS service. The service also handles employee on-boarding and off-boarding. Mixed-device environments are the norm now, HP said, making it increasingly difficult and costly for organizations to manage multiple device types, OSes and vendors. Adding Apple to its hardware support wasn't as simple as "wrapping a lease terms and warranty around the device," said Michael Park, HP's general manager of Emerging Compute Solutions. "Bringing on a device into our HP DaaS offering requires technical integration of the APIs coming off the device so we can properly manage and secure it from a single pane of glass and unified support model," Park said in an email reply. "It takes time to craft the right experience for our multi-OS customers and we wanted to get it right." Overall, DaaS is still a nascent industry, according to Mainelli, so the percentage of PCs shipping as part of a service offering is relatively low. "But we think it will ramp quickly, as it’s a win/win for companies and providers. Companies can move away from huge capital expenditures that have forced them to extend device lifetimes radically," Mainelli said. "Now, they can pay a monthly fee and offload much of the deployment and management of devices to a third party." At the same time, DaaS vendors win by shortening replacement cycles, adding additional dollars through services, and capturing a more repeatable and stable revenue stream, Mainelli added. Mobile device adoption in the workplace is not fully mature, according to the most recent survey on personal technologies by Gartner, which was conducted in mid-2016. 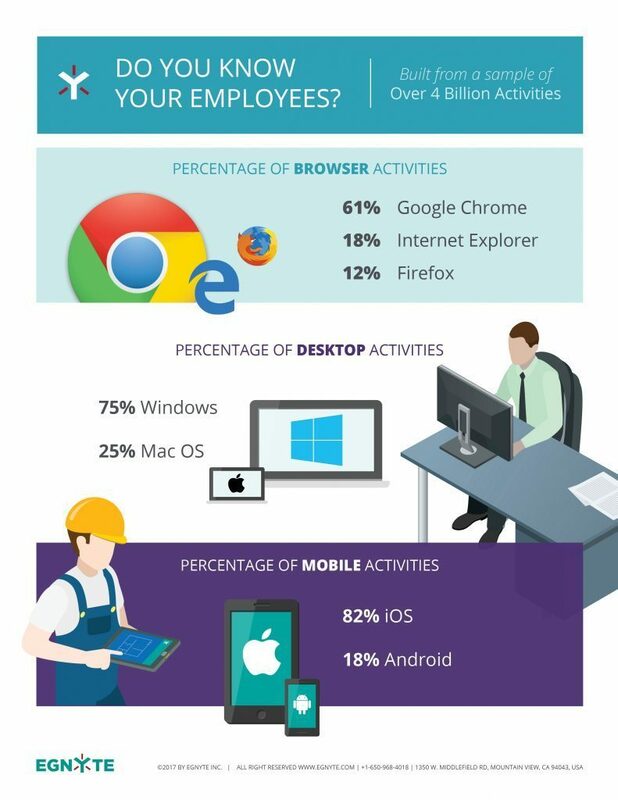 Although 80% of workers said they received one or more corporate-issued devices, desktops are still the most popular corporate hardware among businesses, with more than half of workers receiving corporate-issued desktop PCs. Thirty-six percent of workers received laptops, including convertible laptops. Adoption of convertible laptops as a corporate-issued device is still very low, but has been gradually increasing, according to Gartner. The majority of smartphones used in the workplace are personally owned devices; only 23% of employees surveyed are given corporate-issued smartphones. The biggest challenge for DaaS: most companies have a "tried-and-true procurement strategy, and switching to DaaS means taking some risks around that," Mainelli said. "It also means largely standardizing on one vendor, although HP’s willingness to ship and support Apple changes that up," Mainelli said. "Finally, within IT there are plenty of people whose current jobs depend upon things staying the same, and they will resist this type of change." As mobile devices become more of a primary computing platform for many employees, repairing or replacing smartphones and tablets at the local Apple or Microsoft store isn't a viable option. At the same time, the myriad number of mobile devices and mobile OSes has made it difficult for IT shops to handle issues associated with them. For example, Android fragmentation – both hardware and software – has led organizations to farm out device management in order to free up corporate IT resources for business projects. Some vendors offer MMS as part of general device-management programs. HP launched its DaaS offering in 2016, providing managed desktops, laptops, phones and tablets for its customers through partnerships with various hardware and software providers. In 2013, Gartner described the MMS marketplace as having no leaders or challengers, and said that "providers need to invest more in people, processes, tools and awareness to better serve a growing global demand." 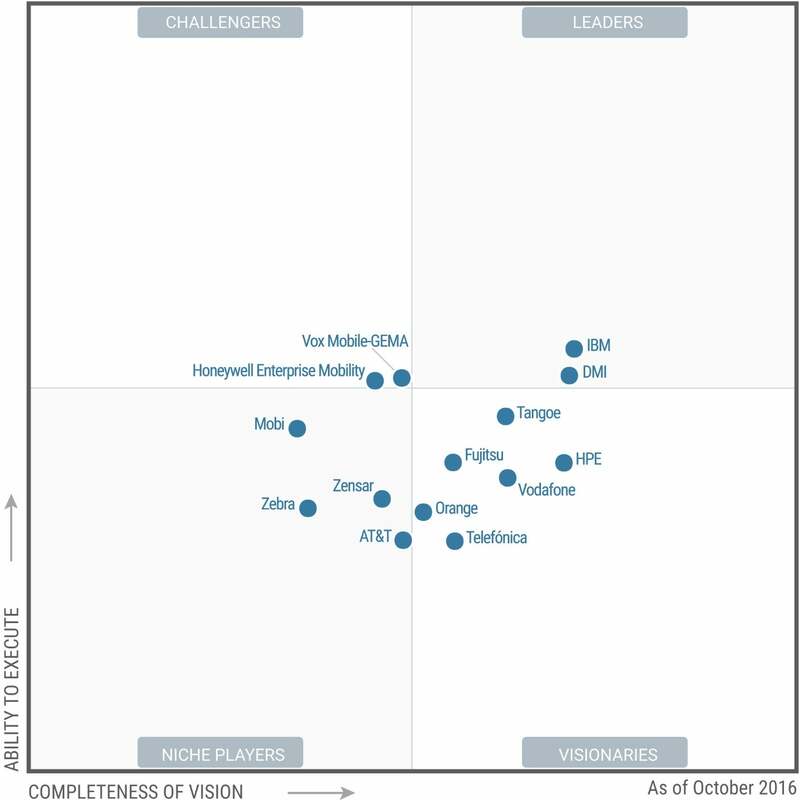 In its 2016 EMM report, Gartner evaluated 14 vendors for its Managed Mobility Services Magic Quadrant. IBM and smaller, pure-play MMS vendor Digital Management Inc. (DMI) led with their ability to execute on six deliverables, three of which specifically addressed repair-and-replace capabilities for smartphones, tablets and field service equipment with a focus on corporate-liable devices as well as BYOD users. On its short list of small vendors to consider for MMS, Gartner recommended VoxMobile and Mobi, along with DMI. In its list of large vendors, Honeywell, Vodafone, and HPE were included with IBM.